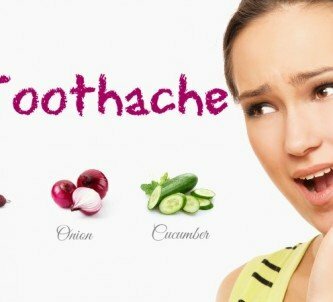 Are you undergoing an unbearable toothache? You may have an abscessed tooth that is a bacterial infection between the gums and a tooth or at the root of a tooth. This infection affects both children and adults and can spread to the jaws, the gums, and in the neck. In most cases, a tooth abscess is caused due to gum disease (gingivitis) or severe tooth decay. Besides, a diet high in sugar, sticky food, and carbohydrates, and poor dental hygiene increase the risks of developing this condition. Neglected tooth abscess often causes life-threatening complications. 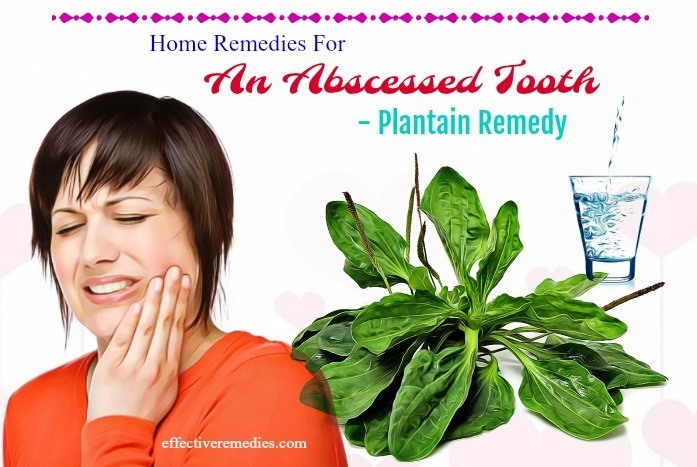 Luckily, there are various effective home remedies for an abscessed tooth in adults and children. These also help to lower your pain instantly. Moreover, if you’re searching for a full guide to prevent tooth problem and improve oral hygiene, we, Effective Remedies, suggest you to continue reading! The following methods not only resolve an abscessed tooth pain in adults and children but also manage the painful symptoms. So try them and thank us later! Fenugreek seeds are full of health benefits since it comprises antibacterial along with many other medicinal agents. It can deal with an abscessed tooth and many oral health concerns since it’s a natural antibiotic. It additionally helps to calm the pain and inflammation caused due to a tooth abscess. 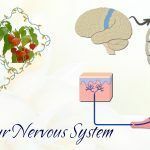 In most cases, it is safe to consume fenugreek seed tea, though there’s a risk of side effects such as nausea, vomiting, gastrointestinal distress, facial swelling, wheezing, and coughing. These side effects mainly affect those who are allergic to peanuts, fenugreek, and soybeans. Due to its anti-inflammatory and natural antibiotic qualities, garlic is effective in curing an abscessed tooth. Garlic also has an antibacterial sulfur compound named allicin, which can stop the growth of bacteria in an abscessed tooth. Along with that, it can soothe the redness, pain, and inflammation caused due to a tooth abscess. Just take the fresh garlic clove and put it in your mouth. Then, crush it by using your teeth and start chewing it until the pain completely decreases. You can also add clove oil (few drops) to the warm water to lower the residual odor. Follow the process thrice per day for several weeks. Mix the garlic powder and table salt well. Apply the mixture to the affected tooth and rinse your mouth after ten minutes with mouthwash. Repeat the remedy three to four times a day for a couple of weeks. Garlic is possibly safe for short-term use. Avoid consuming garlic internally two weeks before surgery because it increases the risk of bleeding. Application of garlic can cause a slight burning sensation, but it will decrease in some time. Plus, avoid applying garlic to your cheek for a long time since it can result in garlic burns. A black tea bag comes with tannins that are helpful for reducing inflammation and pain. Apart from that, it is rich in antioxidants that work effectively in fighting infection and promoting good oral health. Pick up the black tea bag and soak it in warm water for several minutes. Then, take the tea bag out of the water and wring it out. After that, place the tea bag on your affected tooth and leave it there for a couple of hours or overnight. Finally, use a warm salt-water solution to rinse your mouth.  For quick relief, repeat the remedy once every day for several weeks. For most adults, consuming black tea in moderate amounts is likely safe. High amounts of black tea may cause some side effects such as a headache, sleep problems, nervousness, vomiting, diarrhea, irritability, and dizziness due to its caffeine. Hydrogen peroxide is excellent for killing the bacteria contributing to an abscessed tooth, as it consists of disinfectant and antibacterial qualities and functions as a bacteria cleansing property. Regular use of hydrogen peroxide helps to clear out the infection and heal the inflamed gums or tooth. Additionally, this remedy aids in lowering pain and inflammation and removing yellow teeth. Use food grade, 3 % hydrogen peroxide solution only for oral health. Just mix the two above components thoroughly and rinse your mouth with this solution afterward. Lastly, spit it out. Try this remedy thrice per week for quick results. Make a paste by mixing the hydrogen peroxide and baking soda. Start applying this paste to your affected area for several minutes. After that, rinse your mouth thoroughly by using warm water. It is advisable to repeat the process a few times per week. Mix the hydrogen peroxide and clove oil well and dip a cotton ball in the resultant mixture. Start applying it directly to your infected tooth and the gums. Remove the cotton after 15 minutes and use sufficient lukewarm water to rinse your mouth. For effective relief from a tooth abscess, repeat it about three times a day. Redness, irritation or stinging at the application area may occur. Contact your pharmacist or doctor promptly if these effects last or worsen. Turmeric possesses anti-bacterial, antiseptic, and anti-inflammatory agents, which can heal the redness of the infected tooth and destroy the infection-causing germs. Along with that, these agents help to lessen inflammation and pain caused due to an abscessed tooth. According to a study, turmeric is useful for dealing with gingivitis by lowering swelling pain and bacteria. Just mix the turmeric powder with some water to get a paste. Apply it directly to the problem area after brushing your teeth. Rinse it off by using warm water after 15-20 minutes. Repeat the procedure 2 to 3 times per day. Mix the turmeric powder and salt in lukewarm water. After that, rinse your mouth with this mixture a few times every day. Just combine the above ingredients well and apply this mixture to your affected region. Let it stay for roughly 15 minutes and use warm water to rinse your mouth. Follow this method several times daily. Turmeric is likely safe when it is used as a mouthwash or an enema in the short-term. It doesn’t cause remarkable side effects. 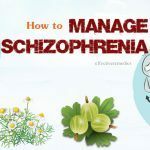 However, some people can undergo nausea, stomach upset, dizziness, or diarrhea. Apple cider vinegar is highly beneficial for reducing inflammation and pain since it comprises anti-inflammatory properties. Besides, it contains disinfectant properties that help you to battle the bacteria causing infection. Take the ACV and swish it in your mouth for several minutes. Afterward, spit it out and don’t swallow it. Lastly, rinse your mouth by using warm water. For best results, try following this remedy a few times per day. Mix the ACV in the water at first and stir nicely. Then, consume this solution to fight a tooth abscess together with its symptoms. Consuming ACV is likely safe in food amounts. For most adults, it is possibly safe for short-term use for medical purposes. Due to its antimicrobial and anti-inflammatory properties, guava leaves are excellent for eliminating the toxins and bacteria hiding underneath an abscessed tooth. As a result, this will lower the severity of the symptoms while treating the infection. In addition to this, they can aid in soothing the inflammation and pain related to a tooth abscess. Wash the leaves of guava thoroughly and chew them nicely. Swish the juice around your mouth, paying attention to the infected area. Do the process as needed. The first step is boiling the water and dipping the leaves of guava into it. Then, allow the leaves to simmer for 10 minutes and wait for the mixture to cool. After that, use it to rinse your mouth every morning. Guava leaves are not recommended to consume if you are taking other drugs. Being an ancient Ayurvedic practice, oil pulling can be used to cope with a painful gum or abscessed tooth. It additionally assists in reducing the number of bacteria in your mouth. Apart from that, it’s ideal for ridding your mouth of toxins, thus promoting both overall and oral health. It further helps alleviate the pain and inflammation. Last but not least, it can maintain healthy gums and teeth. Pick up the prepared coconut oil and put it in your mouth. Swish it inside your mouth for a minimum of 15 minutes and don’t swallow it. Spit it out after 15 minutes and rinse your mouth with enough warm water. Redo it twice every day for around one month for positive results. Coconut oil is chock-full of anti-bacterial properties and helps to kill the infection causing bacteria in your tooth. Oil pulling may cause excessive dryness of the mouth. Oregano oil is a fantastic remedy for an abscessed tooth pain owing to its antibacterial and antioxidant properties. It works by removing toxins and harmful bacteria from the body. It is also helpful for boosting your immune system and facilitating the quick healing process. Take the prepared oregano oil and immerse the cotton ball in it. Place it on your abscessed tooth and remove the cotton after about 15 to 20 minutes. Afterward, use lukewarm water to rinse your mouth. Add the oregano oil to the warm water and use the solution to rinse your mouth for ten minutes daily. Oregano oil may cause reactions in those allergic to Lamiaceae family plants such as basil, lavender, hyssop, marjoram, mint, and sage. The anti-inflammatory qualities housed in peppermint oil would help decrease the inflammation caused due to a tooth abscess and inhibit the spread of infection. Furthermore, the oil comes with the antiseptic properties that work effectively in enhancing the healing process of the infection. Pour the oil onto your fingertips at first and massage your abscessed tooth gently with it for 10-15 minutes. Take sufficient lukewarm water and use it to rinse your mouth. You can also dab a little peppermint oil onto one cotton ball and later place it on your affected areas. After half an hour, remove the cotton and use lukewarm water to rinse your mouth thoroughly. 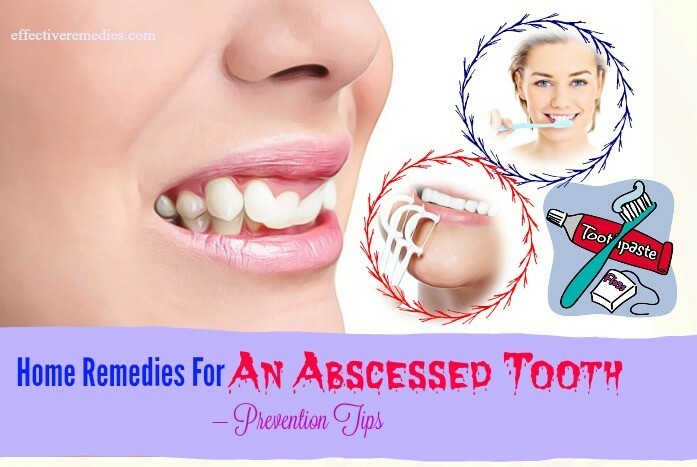 Do this process repeatedly to treat the abscessed tooth. Firstly, crush the peppermint leaves to extract its juice. Take several drops of the juice on your fingertips afterward and slightly massage your affected areas for relief. Do the procedure at regular intervals all the day to banish the tooth abscess. Peppermint oil can be lethal and toxic at excessive doses. Consuming in large doses is related to inflammation of the kidneys & kidney failure. Baking soda is famous for its capacity to whiten teeth. Besides, it is useful for tackling a tooth abscess. It can efficiently normalize the saliva pH level in your mouth that in turn makes the teeth more resistant to viral and bacterial infections. Its cleansing action can fade away any bacteria already present in the mouth, thereby battling the tooth abscess fast. Add the prepared baking soda to the warm water and stir nicely. Rinse your mouth carefully with this solution, swishing it around your infected tooth. Spit it out afterward and rinse your mouth by using warm water. Combine the baking soda and water to create a thick paste. Begin applying it to your abscessed tooth and rinse off after fifteen minutes with lukewarm water. Mix the baking soda and salt nicely. Immerse the cotton ball in the water and afterward, squeeze out excess water. Use the salt-baking soda mixture to coat the cotton ball. Now place it on your abscessed tooth and after several hours, remove the cotton ball and replace with another ball that is coated with the same mixture. Follow this treatment until the inflammation and pain come down. If you are following a diet low in sodium, you should stay away from using baking soda because a ½ teaspoon of baking soda consists of about 1/3 of your recommended intake of sodium for the day. Overuse or long-term use of baking soda may increase the risk of potassium blood deficiency, chloride blood deficiency, muscle weakness, and cramps, etc. Potato consists of the alkaline nature that contains antiseptic effect on the infection. Plus, it holds the acidic nature, which kills the infection and germs contributing to bacteria from the tooth. 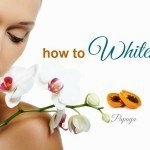 Its acidic property also helps to remove the dead skin cells together with infected material. Apart from that, it is abundant in potassium so that it helps to speed up the healing process. Take the potato slice and place it over your infected tooth. Leave it an entire night and remove it in the morning. After that, rinse with water thoroughly. Repeat the method frequently as needed. Potatoes are like safe when applied to the skin. Papaya embraces a repository of nutrients that can combat the infection. It additionally fights the infection from within by enhancing the immune system. Treatment of an abscessed tooth with papaya enables you to relieve the symptoms of tooth abscess while battling the infection. Peel the papaya at first and later cut it into small slices. Then, rub a slice of papaya on your abscessed tooth and the surrounding gums. Keep it on for 60 minutes before washing by using a good quality mouthwash. Try this cure every morning and night to eliminate the discomfort and pain caused due to a tooth abscess. Papaya is likely unsafe when taken in large amounts by mouth or when applied as papaya latex to the skin. Using papaya latex on your skin can lead to allergic reactions and severe irritation in some people. See more: Are papaya seeds edible, how to eat, & what happen after eating? Because it possesses anti-inflammatory, diuretic and soothing properties, plantain is excellent for reducing swollen or inflamed gums. It further battles the bacteria causing infection and an abscessed tooth quickly. Take a few leaves of plantain and crush them well to attain a smooth paste. Start applying this paste to your affected region and rinse with water thoroughly after 20 minutes. For visible results, follow the procedure 2 to 3 times every day. Plantain is possibly safe for adults. This fruit is sometimes known to be causing diarrhea and low blood pressure. 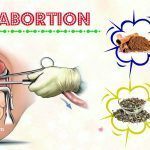 Pregnant women aren’t recommended to use plantain since it affects the uterus. Apart from that, consuming plantain tea in large amounts might cause diarrhea, loss of appetite, headache, dizziness, vomiting, insomnia, and irregular heartbeat. Nutmeg oil is high in antibacterial and anti-inflammatory agents. Also, it helps to boost the immunity that further facilitates the tooth infection healing procedure. In addition to this, it can treat oral issues such as cavities and bad breath. Immerse the cotton swab into the nutmeg oil. Then, place it over your abscessed gums and keep it there for 5 to 6 minutes. Throw the swab away afterward and allow the oil to sit on for another 15 to 20 minutes. Use some water to rinse your mouth. Follow the procedure for 5 to 6 times per day for quick relief. Excessive inhalation of nutmeg oil may lead to hallucination, delirium, and prolonged sleep. Plus, ingestion in large amounts can cause convulsions, vomiting, and stomach ache. Calendula has been used to battle various ailments since many years ago. It also comprises antiplaque and anti-gingivitis abilities. Moreover, its leaves aid in providing relief from inflammation, pain, and infection. Pick up some calendula leaves and crush them into a smooth paste. Apply this resultant paste to your affected tooth with the aid of a cotton swab. Rinse your mouth thoroughly after 15 to 20 minutes with water. Use this remedy regularly as needed. Calendula causes an allergic reaction to individuals who are sensitive to the Compositae or Asteraceae family. A cold compress is highly beneficial for relieving inflammation of the face and gums. The coolness helps to numb the nerves that carry pain signals. Along with that, it can decrease the discomfiture and swelling caused by the infection. Wrap some ice cubes in the clean cloth. Then, encourage your kid to place it outside his or her mouth on the infected region. Wait for 10 to 15 minutes. Follow it regularly as needed. Do not rub the ice directly on your abscessed tooth because it will aggravate exposed nerves, which cause more pain. Clove oil has been used as a natural toothache treatment since ancient times. It contains tremendous anti-bacterial properties, which can prevent the development of oral bacteria. Pour the clove oil in the water. Then, ask your child to rinse her or his mouth with this solution. If your child is in her or his pre-school, rinsing with clove oil once a day is enough. If your child is in her or his teen or puberty, you can raise the number of times to two to three times. For topical use, dilute clove oil with a carrier oil such as coconut oil because using undiluted clove oil can irritate the skin. Don’t use the oil for longer than two weeks consecutively when taking it internally. Warm saline water contains proper anti-bacterial agents. Salt comes with antimicrobial and disinfectant abilities, which can fight bacteria and lower inflammation, pain, and another discomfort in the gums and tooth. Additionally, it can facilitate wound healing & healthy gums. Moreover, saline water is effective for your child’s gums. Just add the normal table salt to the warm tap water. Use this salt water to rinse your kid’s mouth and try swishing it around the mouth for around 2 minutes. Afterward, spit the water out. Repeat up to thrice a day. High intake of table salt can cause water retention, swelling, liver problem, muscle cramps, edema, anxiety, and hypertension. Sesame seeds come with antibacterial agents so that they are useful for treating an abscessed tooth. In addition to this, they are potent in reducing the pain and inflammation. Just boil some water at first and later drop a few sesame seeds in it. Keep for 1-2 minutes. Dab a cotton ball on the affected regions of your child’s teeth and gum. Apply it three times every day and you’ll see certain changes. Sesame seeds should be consumed in moderation. Overconsumption of sesame seeds can lead to bowel and colon irritation. 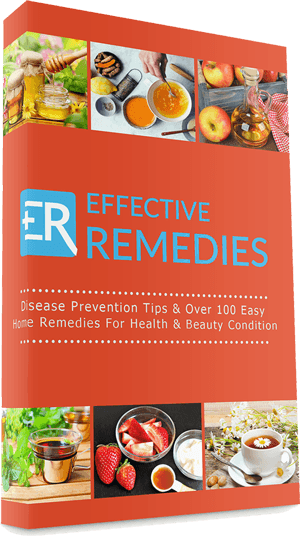 In addition to natural home remedies, these tips help to accelerate recovery and prevent you from having a tooth abscess in future. Good oral hygiene is an important step to help prevent an abscessed tooth. A daily dental routine to keep good oral hygiene consists of brushing, flossing, and rinsing. Besides, it’s vital to choose toothpaste using natural ingredients. Also, replace your toothbrush one time in every three months of use. Make sure you take part in routine dental flossing. The dental flossing eliminates plaque and particles of food, and decreases the risk of developing tooth abscess, tooth decay, and other gum diseases. Also, utilizing a medicated mouth wash is ideal for banishing bacteria and preventing plaque buildup. Use a soft-bristled toothbrush because brushing with hard bristles may cause enamel erosion. Change your toothbrush once in two to three months since they wear out fast and become less efficient in removing plaque or tartar on the teeth. Do not consume anything till thirty minutes after brushing. Do not brush instantly after taking carbonated drinks, as the alkaline level in your mouth will be increased. Brushing your tongue is helpful for refreshing your breath and cleaning the bacteria present in it. Flossing is a crucial oral hygiene regime. It can ease the food plague and particles between your teeth and under the gum line. It’s advisable to floss the teeth a minimum of once per day at night. Here is how to floss the teeth. Use around 18 inches of floss. Gently slice the floss in the area between gum and teeth. Gently stroke about ten times, up and down to remove the plaque and food. Stay away from snapping the floss in between your gums. Acidic beverages include cranberry juice, lemon juice, and lime juice. These beverages are abundant in the acid that can erode teeth enamel. After consuming acidic beverages, rinse the mouth with water. Also, after consuming them, wait for half an hour before brushing your teeth. So, the toothbrush doesn’t rub acid on your teeth which further damage them. Using toothpaste and mouthwash will help to keep your teeth healthy. Notably, the fluoride housed in these products enables you to eliminate any bacteria in the mouth, thus keeping issues such as gum diseases and tooth abscess at bay. Rinsing your mouth using disinfectants such as salt and baking soda solutions can lessen the pain caused by a tooth abscess. After rinsing your mouth with these solutions, ensure you rinse it again by using warm water. Taking a high-sugar can eventually lead to tooth decay that further causes an abscessed tooth because bacteria can thrive on sugar. Instead of sugar-rich drinks, consume healthier thirst-quenchers if you are thirsty. It’s recommended to visit a doctor a minimum of two times for a yearly check-up and cleaning your teeth. This way will find out any infection or cavity in early stages, so your tooth gets saved. Constant snacking means debris and food would get stuck between the teeth, which will encourage bacterial growth. Try taking healthy mouth-cleansing choices including celery, apple, and carrots if you feel like to snack. 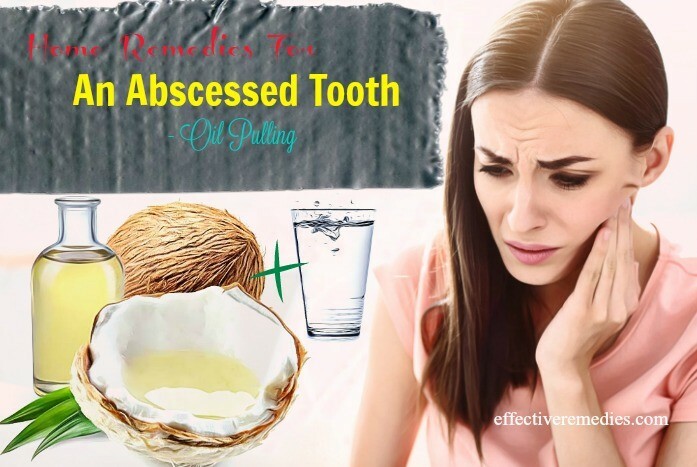 The efficient method to remove an abscessed tooth along with its symptoms is strengthening your body to combat the infection naturally and quickly. One method to do this is easting a healthy diet containing fruits and vegetables. A diet high in Omega 3 fatty acids also helps to promote the strength of your immunity, thus preventing infections. a. Can Tooth Abscess Make You Feel Sick? An abscess infection can worsen the symptoms and result in severe problems if it is left untreated. It may cause nausea, vomiting, and intolerable pain, etc. b. Can Abscess Disappear Without Draining? The abscess will dry up, shrink and go away itself without any treatment if it is small. It requires diagnosis & medical treatment if it is large. c. What Is The Excellent Natural Antibiotic Used For Curing A Tooth Abscess? Generally speaking, natural antibiotics are efficient and safe since they don’t contain any side effect. You can use hydrogen peroxide, clove, etc. if you want to utilize natural antibiotics. d. What Are Symptoms Of Abscess? The symptoms of a tooth abscess include chills, high temperature, pain, redness of the skin, and swelling, etc. If untreated in the first stages, these symptoms may become severe. e. Can An Abscessed Tooth Cause Brain Infection? An abscessed tooth is an infection that affects the gums, spreads to the jaw bone and causes all your teeth to fall. Also, it causes brain abscess and spreads through blood vessels. f. How Can Get Instant Soothing For An Abscessed Tooth? 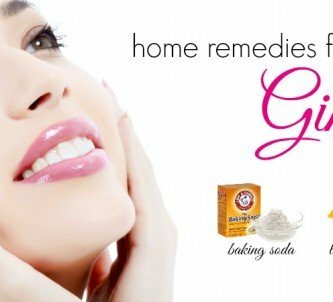 Gargling with salt and warm water is one of the simplest and easiest home remedies for a tooth abscess. It provides instant soothing and lowers swelling of the tooth. Consider using the above remedies and tips to aid healing. 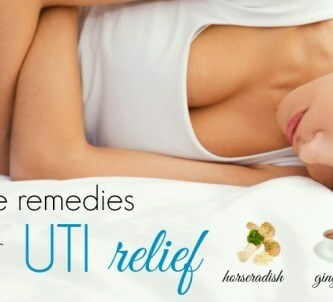 These treatments are made with natural elements and are also safe, effective. 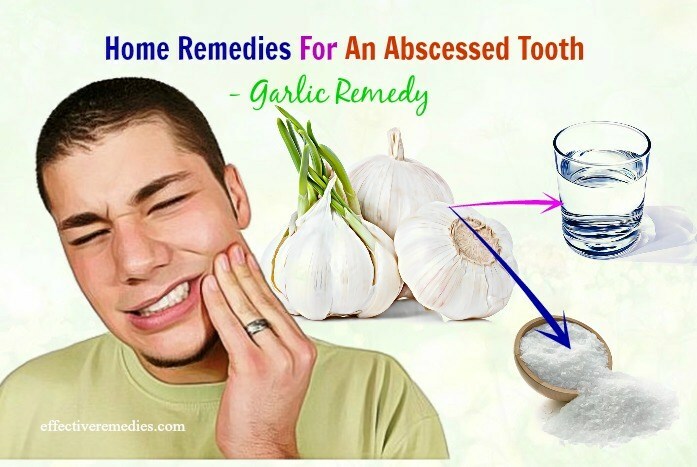 So before reaching out to OTC drugs to treat an abscessed tooth pain make sure to give those home remedies a must try. 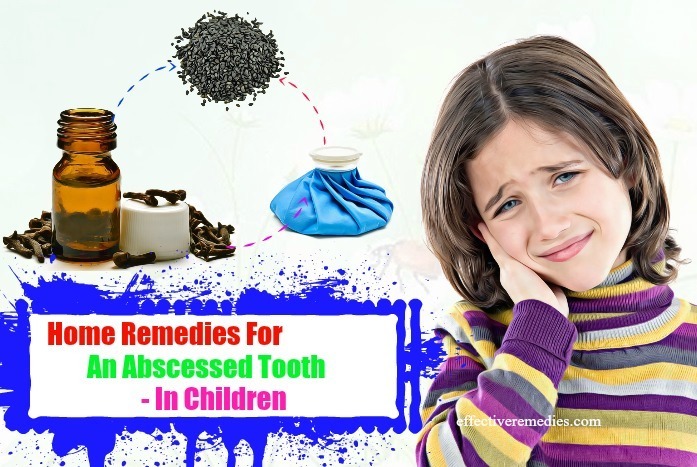 Apart from that, share with us if you know other effective home remedies for an abscessed tooth in children and adults. All of the contents provided in this article are for informational & educational purposes. We recommend you consult a healthcare professional to determine which method is appropriate for you.